Microsoft introduced a new app on Thursday that anyone with a dog should play with because it's a lot of fun. It's called Fetch!, and it's available for iPhones and on the web. It uses artificial intelligence techniques to classify images of real-world dogs into breeds. On the web, users can upload a photo of a dog, or you can take a picture of your pet using your phone's camera. If you upload a picture of, say, a Rhodesian ridgeback, Microsoft should be able to confirm the dog's breed. It's the latest in a line of fun, silly apps released by Microsoft Garage, an "outlet for experimental projects" that are designed to show off creative and unexpected ways to apply Microsoft's expertise in artificial intelligence. In the past year, Microsoft has released apps that detect and measures mustaches in photos or guesses your age, for example. Like Microsoft's other AI apps, Fetch! should become more accurate as users upload more photos and data. More technical information is available here. Fetch! is already fairly accurate. Here it identified the breed of a dog belonging to one of BI's reporters. Wouldn’t it be fun to upload a photo of the dog in an ancestral photo to see what kind of dog they had? Probably a “Heinz 57” more often than not, but I think I’ll try this out! I have recently become aware of a genealogical deficiency of mine…. Not uploading stories, photos and documentation for my ancestors. So I recently created a tree on MyHeritage and titled it “Oswald Descendants 1911.” John Peter Oswald and Mary Ethel Leverich were married in 1911, had five children and now a score of grandchildren. I set up this private website as a forum where any and all members of this family could post about their newest additions and learn more about their cousins. But I do plan to post more about John Peter and Mary Ethel. Now to the point of this blurb. I asked my sis-in-law to write up the story of her mom, Esther Mary, (and my children’s great-grandmother) for this MyHeritage tree. She replied, “Mother did that herself…… didn’t I send it to you?” I replied in the negative and she rooted around, found it and sent it to me. Esther finished her autobiography just four years before she died. And I never knew about it! Sharon only THOUGHT she’d shared it with me! Apply this to your own situation. 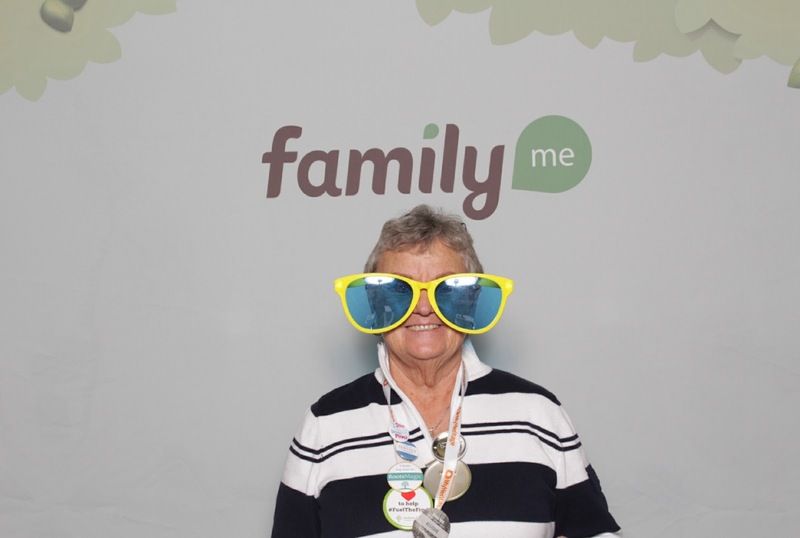 How many family biographies for your family are out there and you have never asked about them??????? “Dear Donna, Oh, thank you for sending the postcard! My great-grandfather and his partner were the two who designed Thompson Hall (on the WSU campus). It has gone through a couple of renovations over the years but the exterior look as original. Since I had not spent much time research this great-grandfather in several years, I decided to see what new details I might find online. I did the usual and Googled various word combinations and came across an article in the summer 2014 issue of the WSGS (Washington State Gen Soc) blog. In it was a submission by someone who said they found the postcard of 1903 postcard. The blog author said that she found the postcard at an estate sale while recently visiting Virginia, of all places. I immediately recognized the building and so set about to local the person who submitted the article. I thought the submitter was Susan Davis Faulkner so I asked Sue Erickson of our Yakima Valley Genealogy Society if they knew how to find her. I phoned her and found out she was in the middle of a move. I offered to give her six months to get settled and I’d call back. Later the story I gave her about the article didn’t ring bells; and in fact she had never been to Virginia so I was on the wrong track. I looked up the mention again and found Charles Hansen’s name attached. I looked up his phone number online and called. He was not the one who had the postcard but he believed it was Donna Phillips as she had been in Virginia about the time in question. He was kind enough to get in touch with his good friend, Donna, and had her call me. So after about eight months I found the right person! Donna was kind enough to give up her claim to the postcard that meant so much to me, and she sent it to me. Long story, but true. It pays to persevere. Note: postage required on that 1903 postcard was one penny. I hope this gives you food for the newsletter and hope others can find this treasure hunting experience helpful in their searches. Again thank you, Susan M.
There is no good reason not to post, search for, or start your family tree online for the most wonderful of reasons: to connect with cousins and to find more family facts. For some warm-funnies to end with, these images were taken at the Eastern Washington Branch of the Washington State Digital Archives, Cheney, Washington. 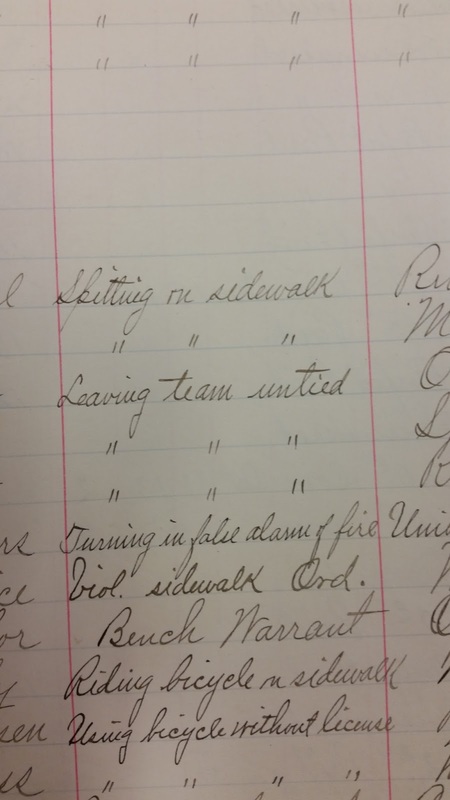 Spotting the Register of Prisoners books on the shelf, I had to have a looksee. 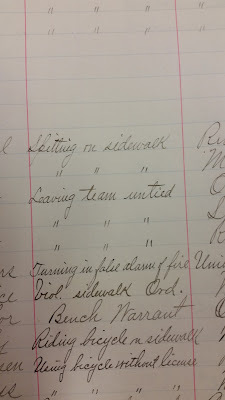 I was intrigued both by seeing that these bad boys (ca 1900) had come to Spokane from all over the world, and second that their offense was so benign by today’s standards! 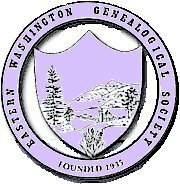 The Northwest Genealogy Conference will be held over in Arlington, on 17-20 August, this year. The three keynote speakers are Blaine Bettinger (DNA expert), Lisa Louise Cooke (media expert), and Claudia Breland (online research expert). Plus there will be 45 other, smaller, sessions with "knowledgable and entertaining speakers," of which I am proud to say I am one. This is YOUR chance to attend and participate in one of the largest conferences held close to home and at way less the cost. Click to www.NwGC.org for more information. Start dropping your change and $1 bills into an empty mayo jar and by August you'll have enough! Oh, and do mark your calendar.